Airlines used to once be tightly regulated, and this led to uniform stable prices. The only way to compete and differentiate was through amenities such as hot multi-course meals. Some airlines even offered free airline-branded cigarettes. The meals became so extravagant that soon airplanes couldn’t make them on board. Instead during the technical stops that planes frequently had to make back in the era, passengers disembarked and were fed at a special restaurant. Southwest started offering low-cost flights by getting rid of in-flight meals entirely. They marketed themselves as the “peanut airline” and as a marketing stunt gave peanuts to the passengers. The trend stuck and soon all airlines were offering free peanuts. But in the hyper-competitive world of the airline industry, executives soon realized that even these were introducing real costs. Delta calculated that a one-cent increase in peanut prices could increase costs by $610,000 a year. There were also concerns about passengers who had nut allergies. 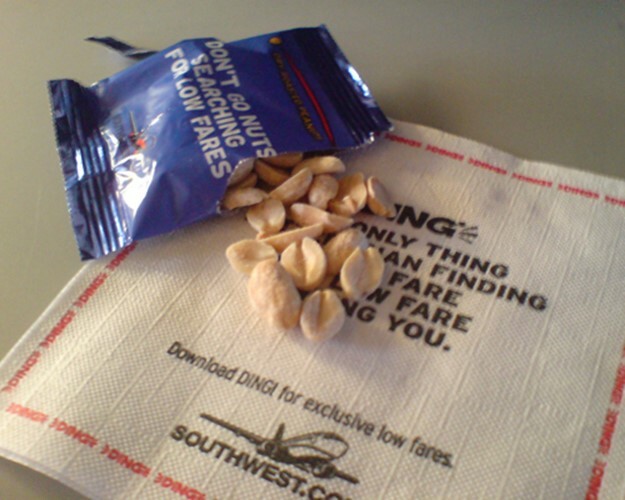 Now peanuts can be bought on most airlines – but the small bags that are purchased for $3 cost the airline about 7 cents. ← Whatever Happened To Avatar?